It is very important to us that our users can easily use all their data they are tracking or entering into WorkTrail. 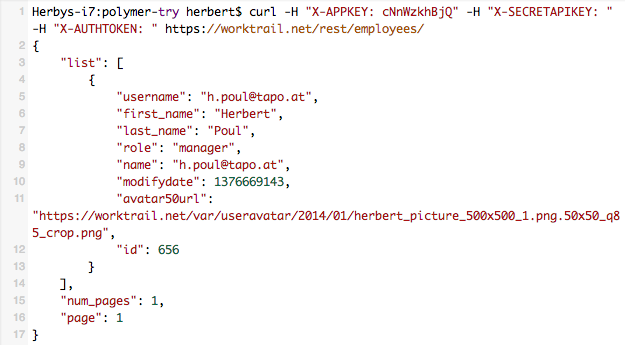 This is why we have now created and documented a public API which makes it possible to easily integrate WorkTrail into any third party service. It allows developers to create apps which have access to all tasks, projects of a company as well as all and every work entry tracked and reported by users and employees.